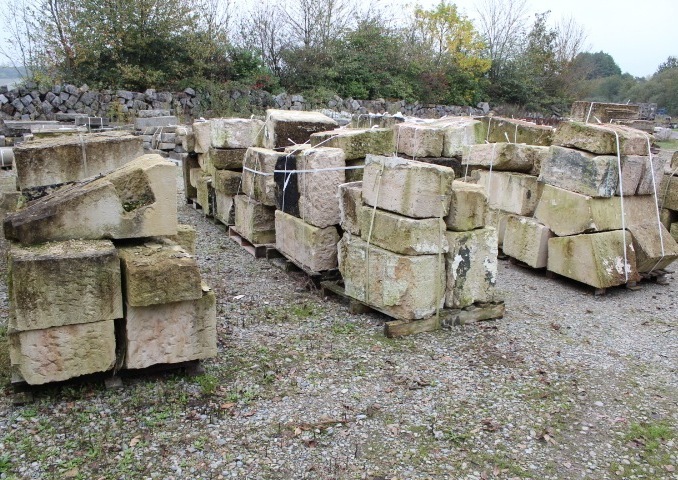 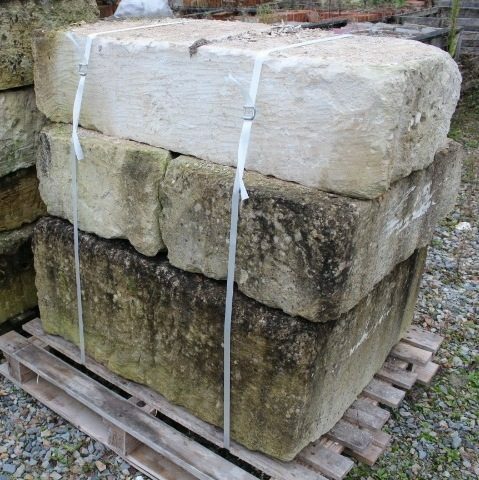 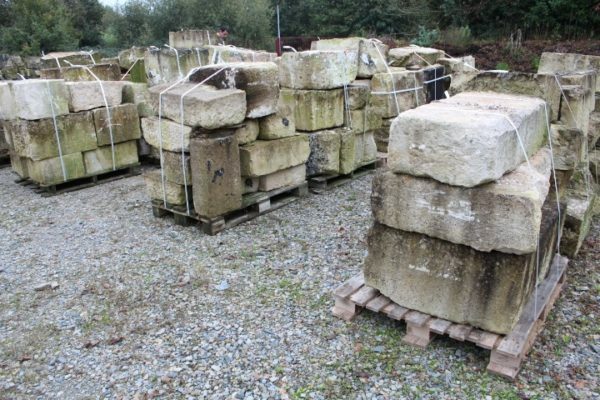 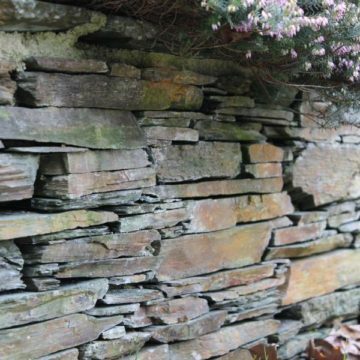 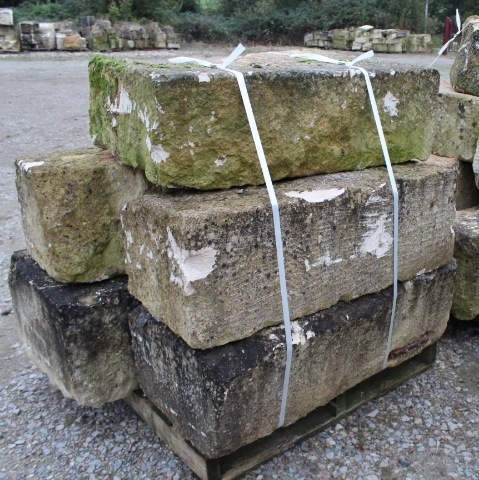 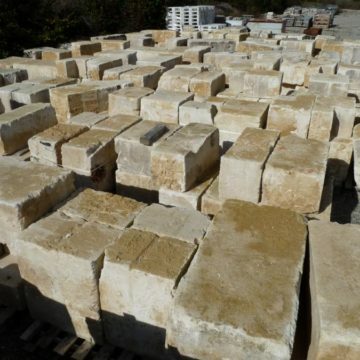 Various types of antique reclaimed French limestone (and also granite) ashlar blocks, available from BCA of BCA’s premises. Contact us for stone type availability and provenance. 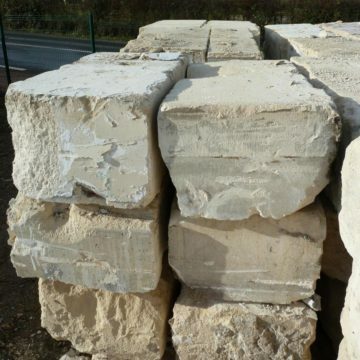 Considerable quantities are available for building major schemes.